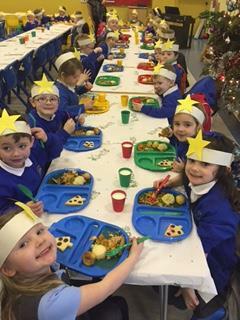 PLEASE CHECK UNDER THE PHONICS SOUNDS AND WEBSITES FOR NEW PHOTOS AND INFORMATION - PHONICS IS SET TO STAY AT THE TOP SO YOU WILL NEED TO SCROLL BELOW TO SEE NEWLY ADDED PICTURES ETC. We all had a fantastic afternoon for sports day! All the children tried really hard at all the races and had lots of fun! 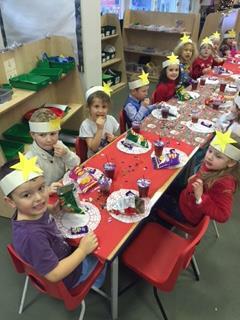 We all had a fantastic time at Tesco last Tuesday! We had a look around the fruits and vegetables and got to talk about and taste some different fruits, some that we hadn't tried before, like a golden kiwi! We then went to the fish counter and saw all the different types of fish. We got to touch the fish and see what it felt like - it was very cold! Next we looked at the cheese counter and tried three different cheeses - some of us even tried cheese with cranberries in. Then we went to look at the bakery - unfortunately we couldn't go in as the ovens were on and it was too hot - but we were lucky enough to get a gingerbread man to take home with us! Finally, we went 'behind the scenes' and went in to the back of the store. We went in to the big fridges and even in the freezer! They were huge! And VERY cold! 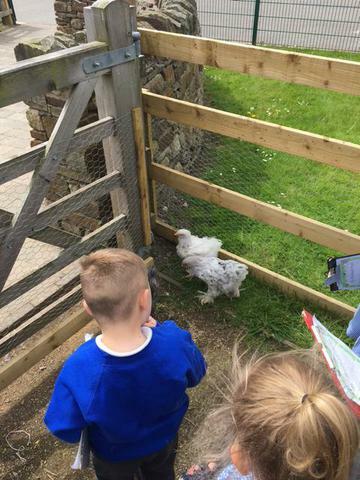 We had a fantastic day at Cronkshaw Farm last Thursday! The weather was lovely and we had so much fun! 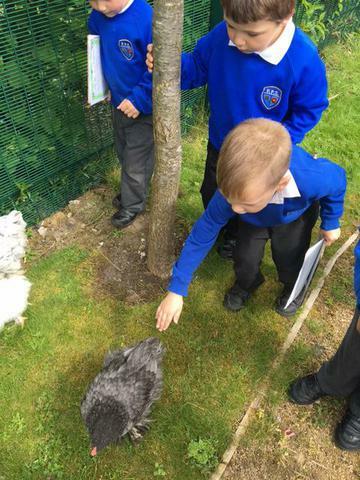 We looked at the ducks and sheep and fed the hens and collected their eggs - they were all different colours! We then went up in the treehouse and could see for miles! 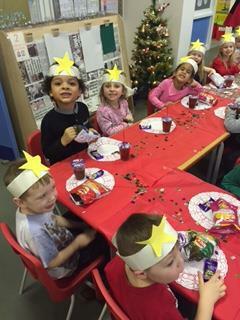 The children really enjoyed milking the pretend cow and feeding the goats - they were very greedy! We had fun rolling in the meadow down the hill and Floss the sheepdog even did a trick on Miss Pearson's back! 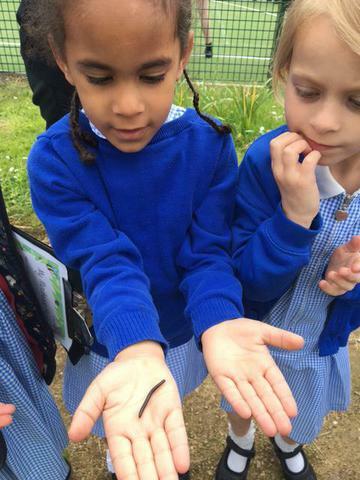 We have been busy hunting for minibeasts this week! 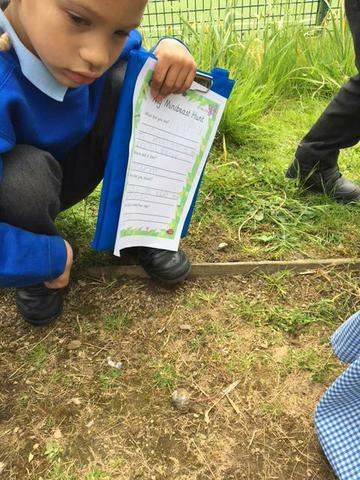 We have learnt all about different minibeasts; what they look like and where they live so we thought we could go hunting for some ourselves! 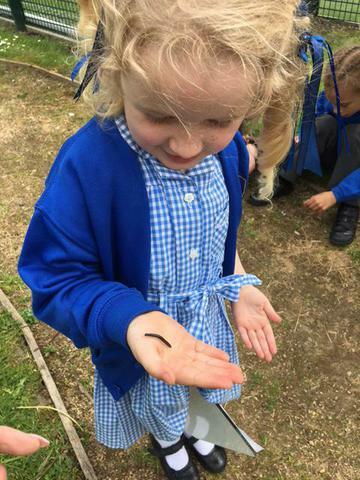 We found worms, spiders, millipedes, beetles, a snail and even had a look at our chickens in their coop near the stone circle! We have also been busy making scarecrows for our allotment area! 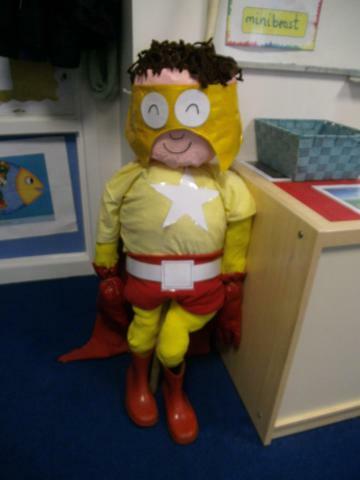 RW have made 'Superkid' and RP have made 'Mr Bump'. You will be able to see each class scarecrow after half term in the garden area! As with the other termly plans, this is a guide to what topics we will cover. 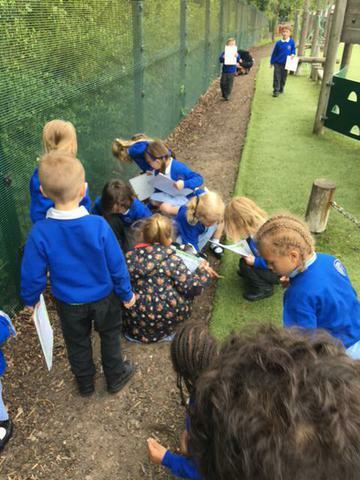 Some areas are blank where nearer the time we will see what the children become interested in and plan from this, which will make learning more fun and engaging for them. As we come to the end of the year, we recap most topics which is why some weeks children are covering a few areas in Numeracy. This is to prepare them for year one and ensure that all areas are recapped before the summer holidays. We have been busy over the last few weeks playing with all of our new indoor and outdoor resources. Fingers crossed the weather will start to brighten up now and we can really make the most of our new area! 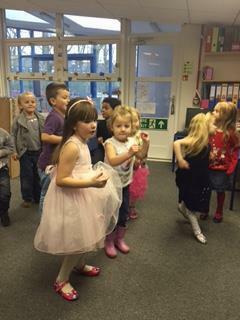 Thank you very much to all the parents who came and joined in with our 'stay and play' session this morning. 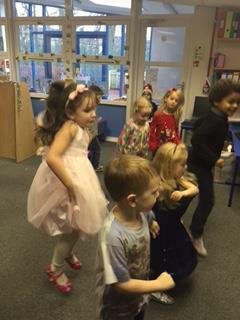 The children loved playing, doing activities and showing you all around their classroom. 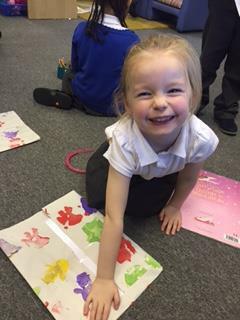 We enjoyed making Easter Bunnies (have a look at the photo below) and playing with all of our new resources inside and out. If you were unable to attend, we hope to have another session in the summer term where we will look forward to seeing so many parents again. We had a fantastic day on Friday for Sport Relief! 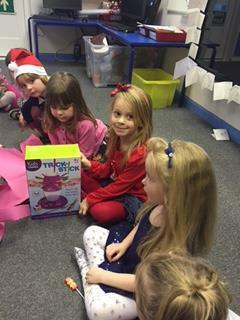 We wore our sports clothes to school and brought in a donation for the charity. We all took part in a run around the school - we did 2 laps which is half a mile!! All the children did really well and enjoyed the run, even though it was very tiring! We raised lots of money; keep an eye on the website/newsletter for details of how much we raised. Below is our topic plan for the Spring Term. This includes a guide plan of what we may be covering - topics will be the same but texts may change if children become interested in a slightly different area or really want to learn about something, for example doing a different traditional tale than the ones listed. 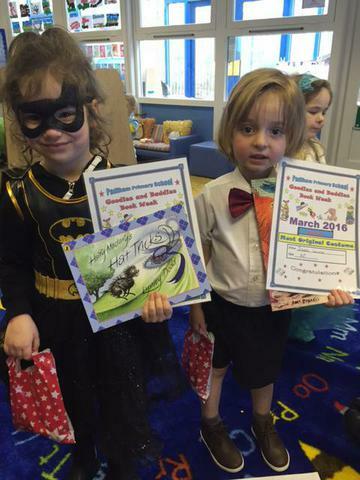 We had a brilliant day on Thursday celebrating World Book Day with our 'Goodies and Baddies' dressing up day. 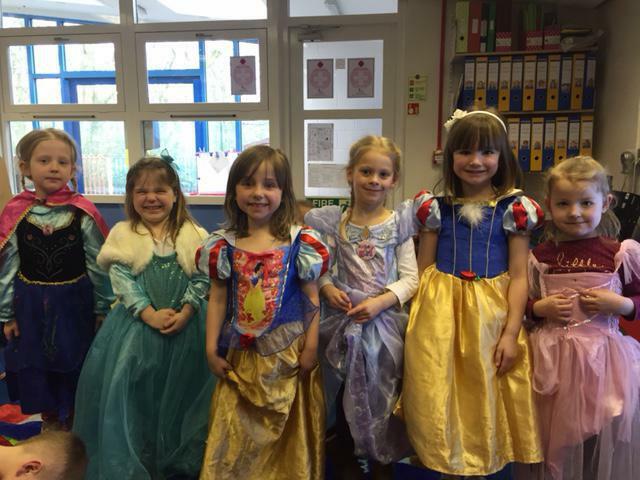 There were so many fantastic costumes, from Superman to Elsa from Frozen! 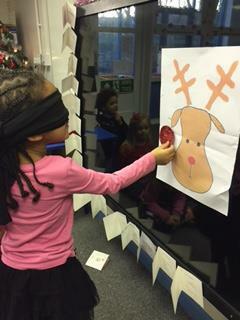 We had a special assembly where 2 winners from each class were chosen, which was a very difficult decision! 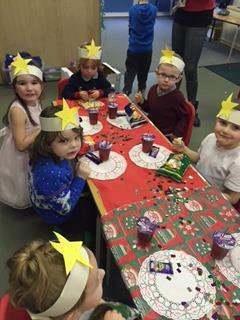 Thank you to all the parents for making such an effort and we hope the children enjoyed the day, as well as their free book which they were very excited about! 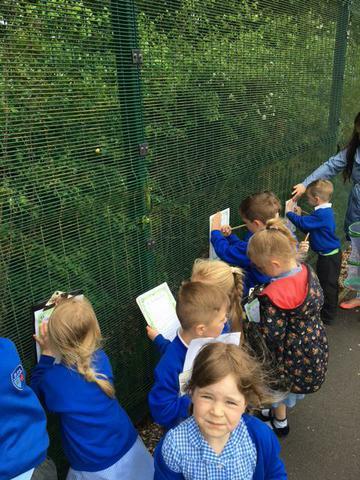 We recently has 'get caught reading' week where we encourage children to read by giving them a raffle ticket each time they get 'caught' reading. Our children love reading anyway and we enjoy choosing books from the library to read each week, but this helped to reward those who chose to read by giving them a chance to win a prize. 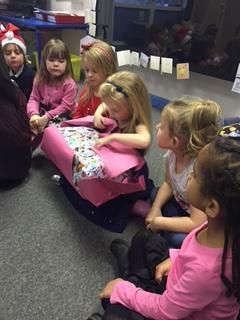 Two winners were chosen at random from each class and they each won a book, certificate and goody bag. Well done to all children who got caught reading - keep it up! A big well done to Noah Whiteley who was the Reception Class winner for the design a poster competition for Eco-Week! He made a fantastic poster to remind us to 'turn the light off.' 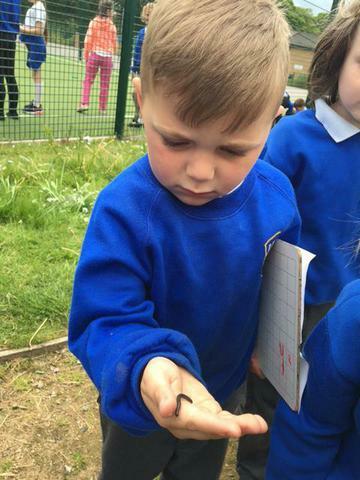 He won a bug house to put in his garden and a certificate, which he was very pleased with! We were also lucky to get a visit from the firefighters this week! Four firefighters came to school to talk to us about what they do and to answer our questions. They spoke to us about their uniform and the fire engine and they let us have a look at some of the equipment they use. Unfortunately, just as we were about to go and look at the fire engine they got an emergency call and had to go to a real fire! We are hoping to arrange another visit so we can have a look at the fire engine and try out the hose pipe! We were very lucky to get a visit from a police officer this week as part of our 'People who help us' topic! PC Becky came to see us to tell us all about her job! The children enjoyed listening to her, asking her questions, looking at the equipment she uses in her work and they all really enjoyed sitting in the police car and making the lights and siren turn on! it was very loud! 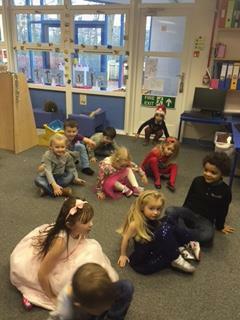 In Reception we do phonics every day. 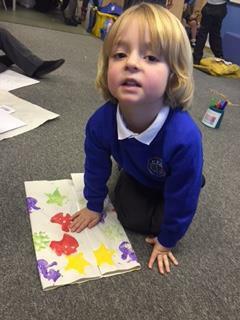 We have discussed with you how important it is for school and home to work together and that you know exactly what your child is learning. 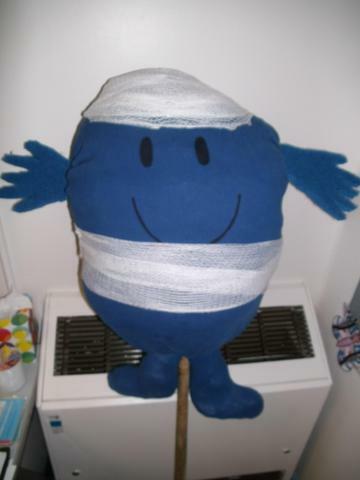 We are therefore going to put online each week what sounds your child has learnt that week. The sounds build up, so if you look at the list at the bottom, this is the order we teach the letter sounds. The new ones learnt that week will be listed and therefore you should know which sounds to concentrate on and which your child already knows. If you have any questions, please ask any of the teachers! There is also a link below to a sound mat that we use often in phonics and literacy. The children use it to copy from if they need help to remember what a letter looks like. Feel free to download it or have a look yourself. 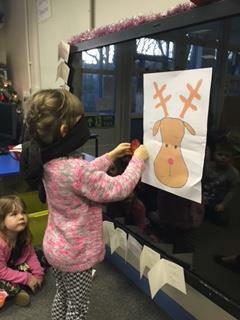 Well what a busy time we had in Reception before Christmas!! 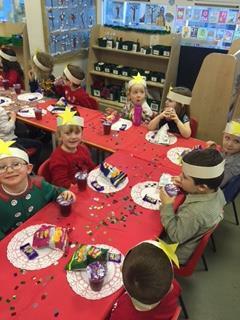 We had lots of exciting tasks to do and we really enjoyed being part of the Christmas play 'The Little Red Robin'. 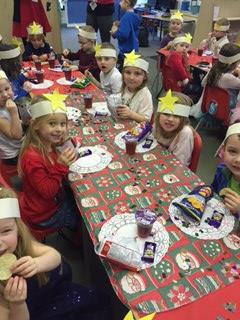 We also had a fantastic time at the Christmas party where we got to wear our party clothes, play games and even met Father Christmas! From all the staff we hope you have had a lovely Christmas and a well deserved rest! 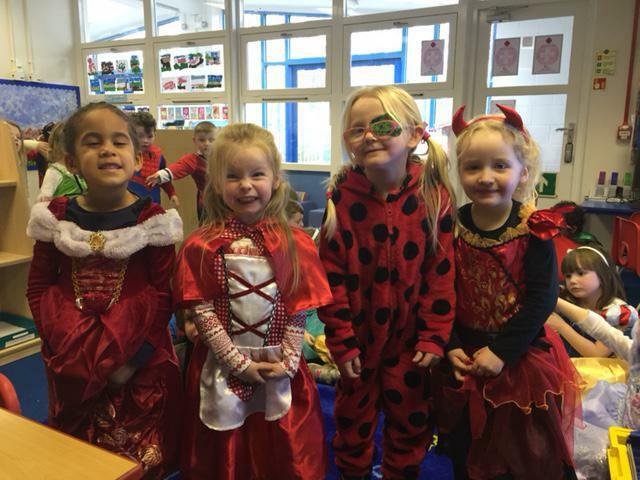 We had a fantastic day on Thursday for our dress up day! 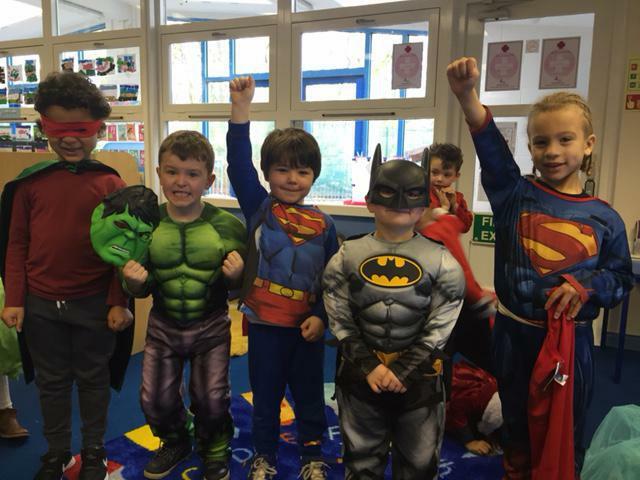 There were some fantastic costumes and we had a brilliant day doing the Thriller dance, decorating pumpkin biscuits and doing a halloween colouring competition! 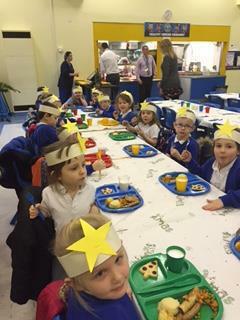 Have a look at some photos from our day! The document above shows what the children in Reception will be learning in the Autumn term. 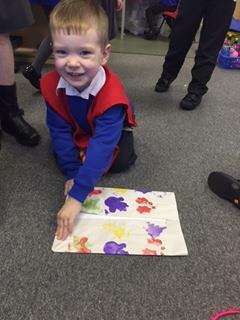 As we like to plan from the children's interests you will see general topics such as Autumn and dinosaurs, and a guide to some activities we could do related to these. We introduce the topic and see what the children do using the resources we provide. 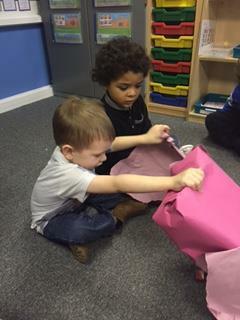 We then structure the learning around what the children enjoy doing. As we are continually assessing, the final numeracy topics will be filled in when we assess and know where the gaps are in the children's learning. Please check back to see any changes we may make to the plans. 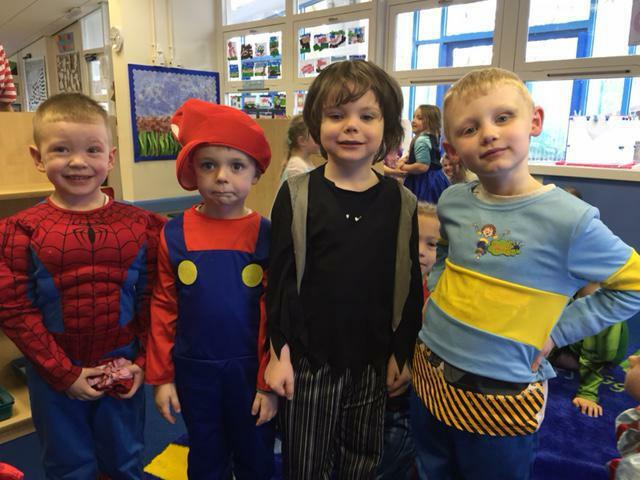 We had lots of fun dressing up for Roald Dahl Day! 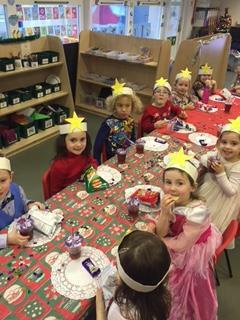 We dressed up as Willy Wonka, Oompa Loompas, Fantastic Mr Fox, Matilda and lots of other characters. We also had children dressing in yellow clothes as this was Roald Dahl's favourite colour! 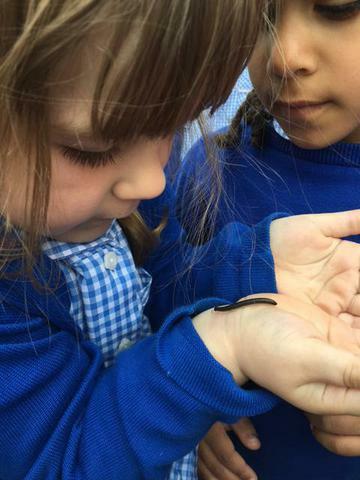 A big welcome to all our new children due to start an exciting new adventure next week! 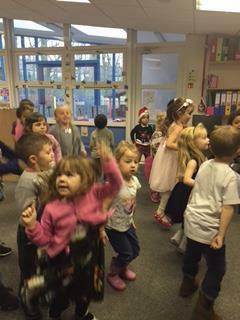 We are really looking forward to meeting you all and we hope you are all excited to start in your new class! 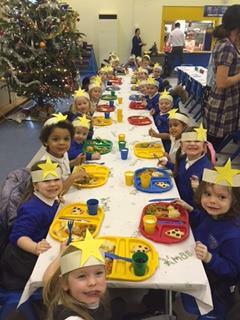 Reception has 2 class teachers, Miss Pearson and Miss Wilson. 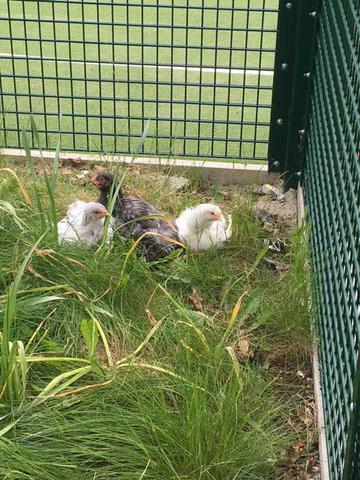 We are also very lucky to have a full time Teaching Assistant; Mrs Huyton and a part time Teaching Assistant; Mrs Howell, who will be helping us in the afternoons. We know this is a nerve-wracking, emotional yet exciting time for the children (and probably you too!) but please don't worry, they will love school and we will do everything we can to make it a fantastic year!! shorts, a white t-shirt and black pumps. Children can also bring a water bottle into school which they can access during the day. Please can all items be labelled with your child's name.